– Leap through paintings hanging from the walls of Peach’s castle as Mario enters 15 magical worlds in a quest to collect the 120 Power Stars pilfered by evil Bowser. In this timeless classic Nintendo 64 game, vast worlds teem with daunting obstacles, hidden items, puzzles, and classic Super Mario Bros. enemies. Download classic Nintendo DS games on your Wii U console! In Yoshi’s Island DS, team up with the Yoshi clan to save the day from Kamek. As Yoshi crosses the lush but perilous lands of Yoshi’s Island, he will also need to depend on his baby companions and their special abilities. – Think outside the box in this charming black-and-white puzzle platformer from the creators of the Kirby series. 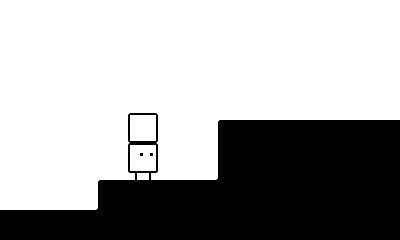 Traverse tricky landscapes by creating boxes to help Qbby navigate more than 20 puzzling worlds and more than 150 challenging stages. Just watch out – tons of obstacles stand in your way. Click here to view a trailer for the game. – The best-selling series Bokujo Monogatari is reborn outside Japan as Story of Seasons. The farming and life-simulation game improves upon the farming and relationship building that the series is known for, while adding the theme of “Connecting,” both with other lands across the game world or with other players online. Use the game’s StreetPass feature to fill your town with visiting farmers or connect to Wi-Fi to visit your friends and farm together. Click here to view a trailer for the game. See how your Code Name: S.T.E.A.M. squad stacks up online in Nintendo’s Public Tournaments. Top players earn unique titles that are visible online and earn major bragging rights with their friends and around the world. The new “Hijinks” tournament runs through April 5. Opt in via the SpotPass feature for notifications on future tournaments. Good luck, agents! Citizens of Earth on Wii U and Nintendo 3DS is 33 percent off each (reduced from $14.99 to $9.99) beginning at 9 a.m. PT on April 6 until 8:59 a.m. PT on April 13. Gravity Badgers is 50 percent off (reduced from $4.99 to $2.49) until 8:59 a.m. PT on April 29.
uWordsmith is 50 percent off (reduced from $1.99 to $0.99) until 8:59 a.m. PT on April 23. Midnight is 25 percent off (reduced from $1.99 to $1.49) until 8:59 a.m. PT on April 16. Puzzle Monkeys is 33 percent off (reduced from $2.99 to $1.99) until 8:59 a.m. PT on April 23. Shin Megami Tensei: Devil Survivor Overclocked is 50 percent off (reduced from $29.99 to $14.99) beginning at 9 a.m. PT on April 6 until 8:59 a.m. PT on April 20. Hazumi, League of Heroes and other games are discounted in the GameLion/Huuuge Games Spring Sale until 8:59 a.m. PT on April 30. European Conqueror 3D, The Legend of Dark Witch and Tappingo from Circle Entertainment are on sale until 8:59 a.m. PT on April 23. Aqua Moto Racing 3D is 50 percent off (reduced from $7.99 to $3.99) until 8:59 a.m. PT on April 9. Toys vs Monsters is 25 percent off (reduced from $3.99 to $2.99) beginning at 9 a.m. PT on April 5 until 8:59 a.m. PT on May 3. 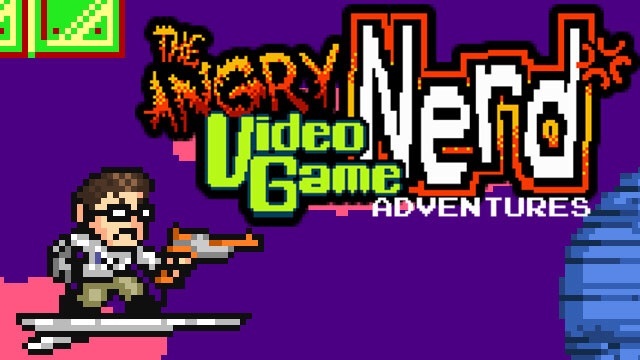 I really want to play the Angry video game nerd adventures game , I love his videos and I hope we get a 3ds version soon. The box boy game looks very promising and unique. Very interesting timing of Super Mario 64 release since the "hd fan remake" was in the news recently.